Wardeh’s newest book about Fermenting Foods on the market today! Just published! This book offers advice on the process of fermenting foods, providing information on how it works and the equipment required, and includes step-by-step instructions for making pickles, salsa, condiments, hummus, yogurt, and cheese. This is the first series book to discuss the wonderful health benefits of live-culture foods and the techniques for preparing them. 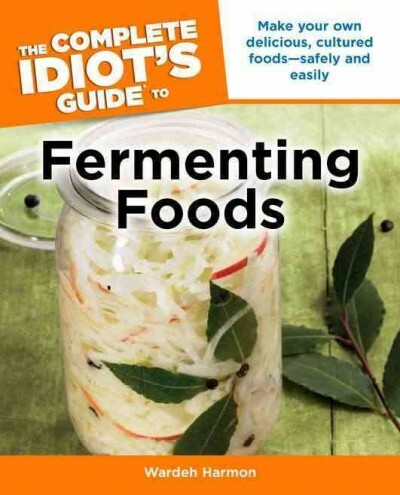 Includes over 100 delicious recipes for all types of fermentation. Check out her online class on fermenting and tell her jerri at Homesteaders Supply sent you! Wardeh (‘Wardee’) Harmon lives in Southwest Oregon with her husband, Jeff, and their three children, Haniya, Naomi and Mikah. They raise a dairy cow, chickens and goats, and garden co-operatively with friends. Besides homeschooling her children, making cheese, old-fashioned pickles and lots of other fermented foods, Wardeh teaches online classes in the fundamentals of traditional cooking, sourdough, cultured dairy, cheesemaking and lacto-fermentation at GNOWFGLINS eCourse (www.gnowfglins.com/ecourse). She blogs at GNOWFGLINS (www.gnowfglins.com) sharing recipes, videos and anecdotes of her family’s life. 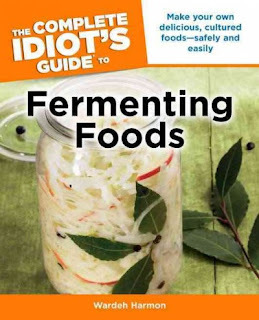 This entry was posted in Fermentation, Gardening, Homesteading, How-To on May 5, 2012 by Homesteader's Supply.